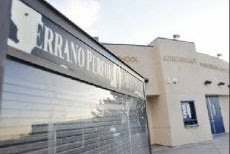 Phelan – Officials shut down section of the school after they discover that the late March rain storms caused water damage and mold growth within Serrano High School’s Performing Arts Center. As of Thursday, all mold has been removed from the facility and the area has passed post remediation testing, according to the Snowline Joint Unified School District spokeswoman Kathy Sharkey. “They discovered mold ins some places from the rains so we immediately started mold remediation” Sharkey said. The areas identified had been the south side of the structure, including the choir and dressing rooms. Students were not allowed to enter the choir rooms, while the auditorium remained open and closed shortly after the last performance. Community members believe this may have gone unnoticed for years, although the district officials are confident that the mold problem was quickly resolved and did not pose any health hazard.